Obtain your Garlic Crusher & Garlic Peeler as a 2 in 1 package! Make your life easier with the Garlic Press Mincer and Garlic Peeler Tube from Eliogreen! The hexagonal shape on the bottom proceeds the round shape on the top to increase pressing capacity. 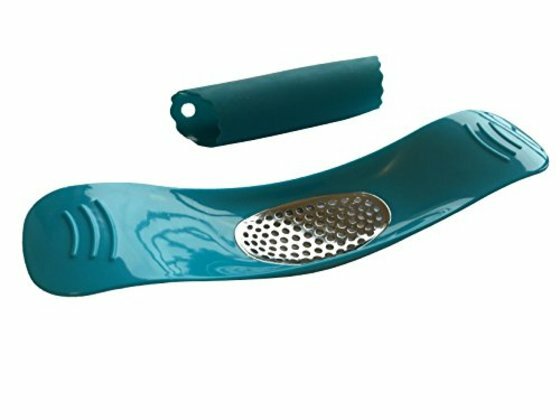 The Garlic Crusher design simply and conveniently makes it easy to use and difficult to break. You can easily control the size of chunks by double or triple pressing the Garlic Crusher. Our Garlic Crusher and Peeler are dishwasher safe! Do not choose complicated expensive garlic crusher models when we can offer you a beautiful colored Garlic Press along with a Garlic Peeler!